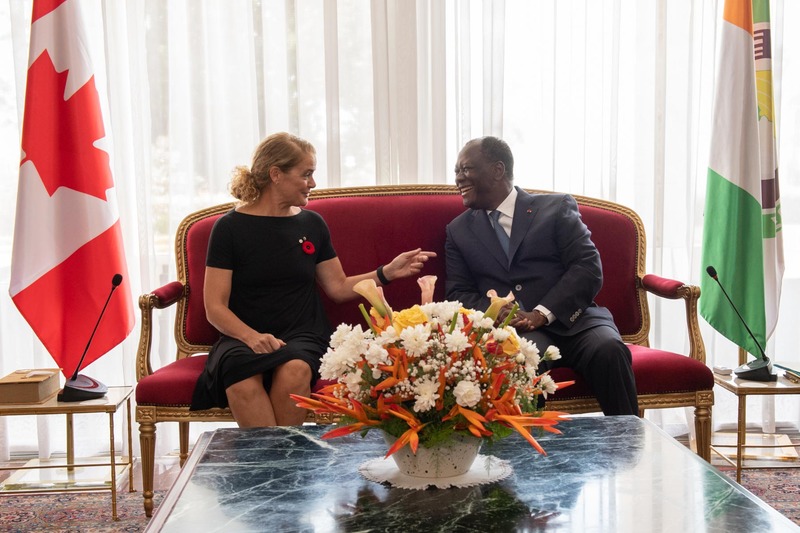 At the request of the Right Honourable Justin Trudeau, Prime Minister of Canada, the Governor General visited West Africa from October 23 to 30, 2018 where she undertook a State visit to the Republic of Côte d’Ivoire, from October 26 to 28. 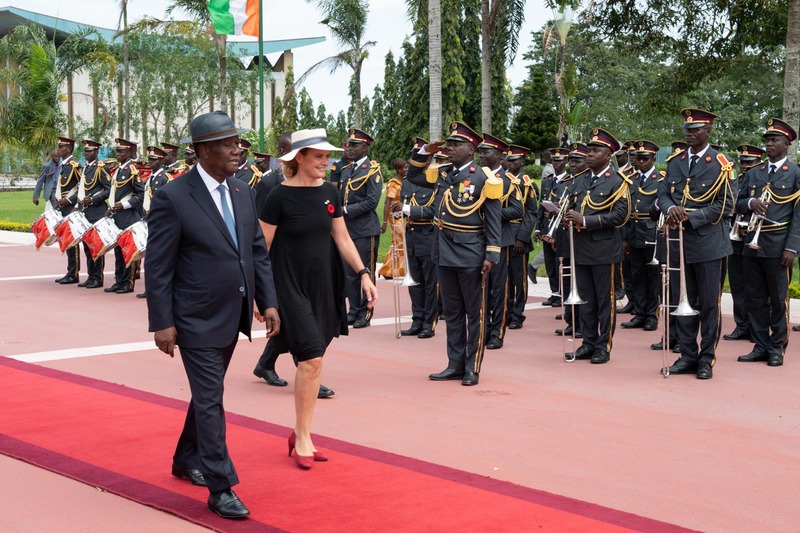 On October 26, 2018, the Governor General began her State Visit to Côte d’Ivoire. Upon arrival in Abidjan, Her Excellency was greeted by Mr. Daniel Kablan Duncan, Vice-President of the Republic of Côte d’Ivoire. 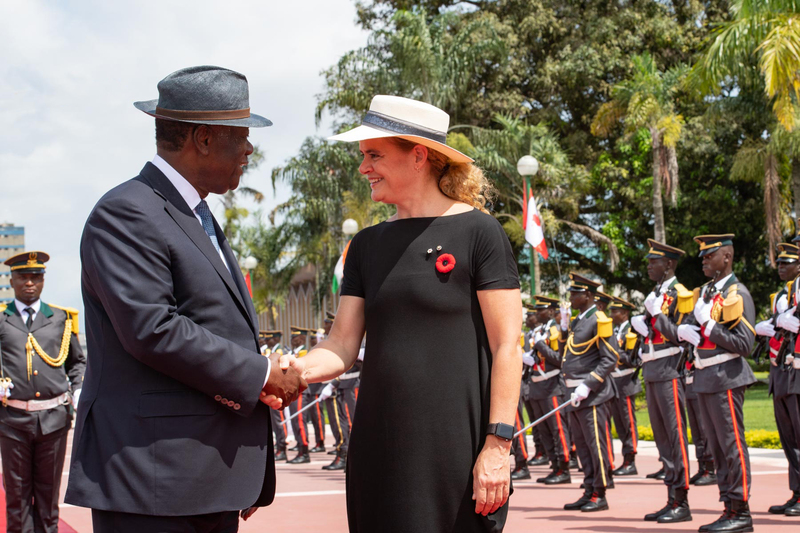 The Governor General was then officially greeted by His Excellency Alassane Ouattara, President of the Republic of Côte d’Ivoire. During the welcoming ceremony, the Governor General received military honours and inspected the Garde Rouge. 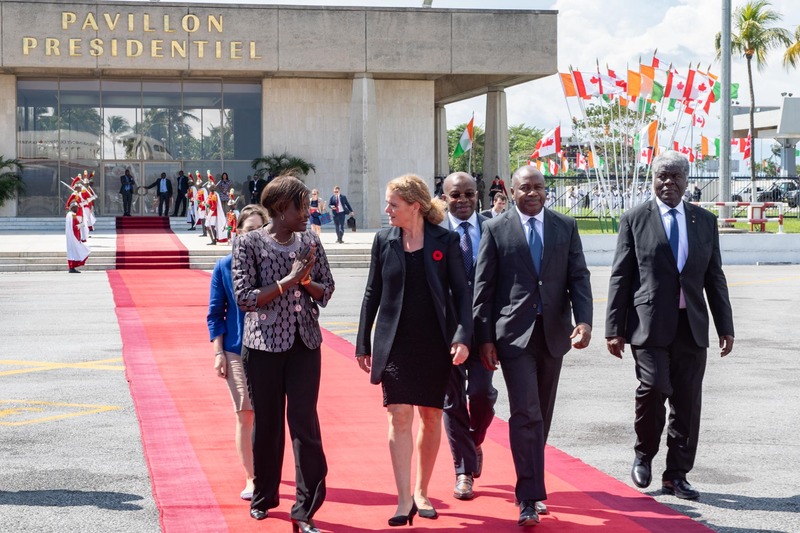 The Governor General and the President of the Republic of Côte d’Ivoire then held an expanded meeting. 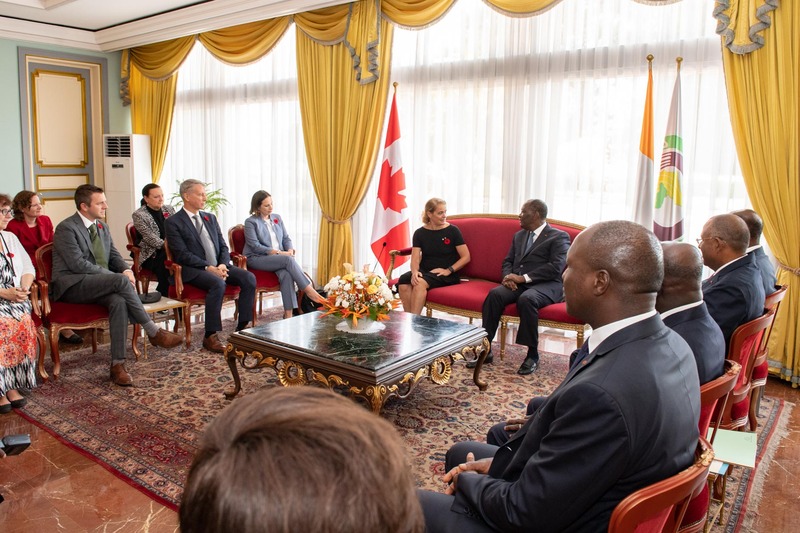 During the meeting, the Governor General and members of the Canadian delegation met with President Ouattara and representatives of the Ivorian government to discuss topics of mutual interest to Canada and Côte d’Ivoire. 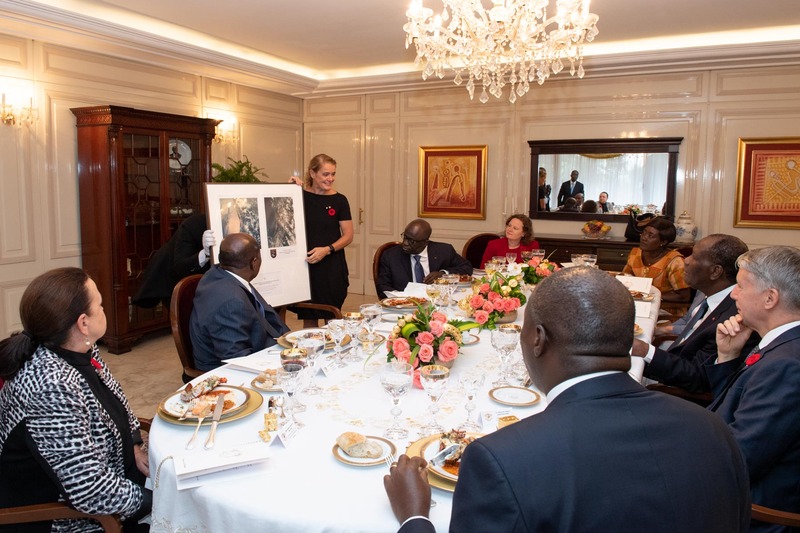 Afterwards, Her Excellency attended a lunch held in her honour by President Ouattara. During the lunch she presented photos of Côte d’Ivoire taken from space. 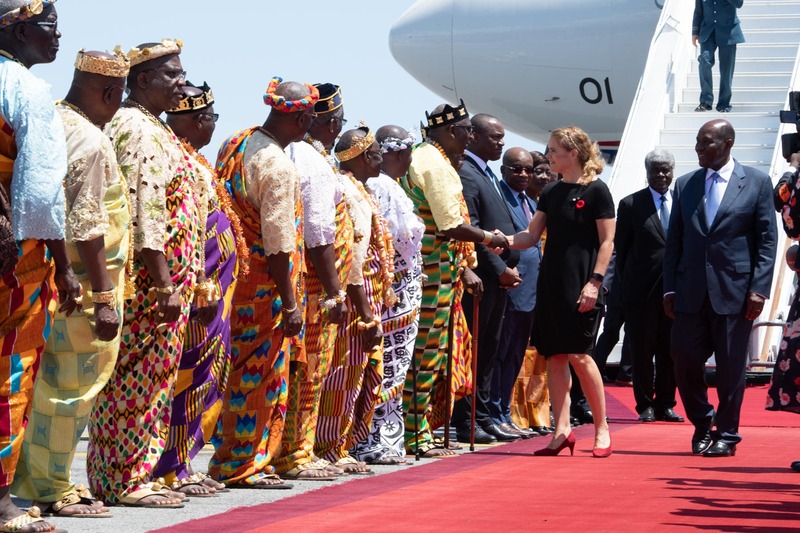 The Governor General then headed towards Abidjan Autonomous District Hotel where Ivorians offered her and the Canadian delegation a warm welcome. 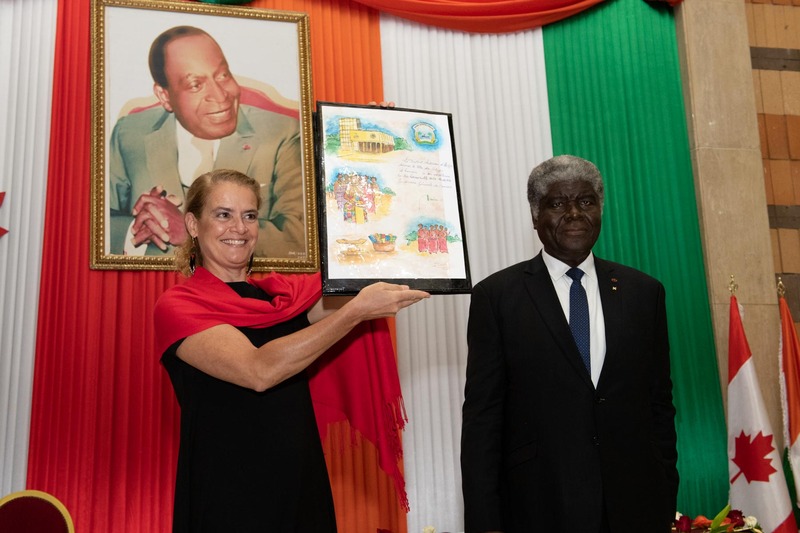 The Governor General received an honorary citizenship scroll and the keys to the city from Mr. Robert Beugré Mambé, Minister-Governor of the Abidjan Autonomous District. Following the presentation, the Governor General offered brief remarks. 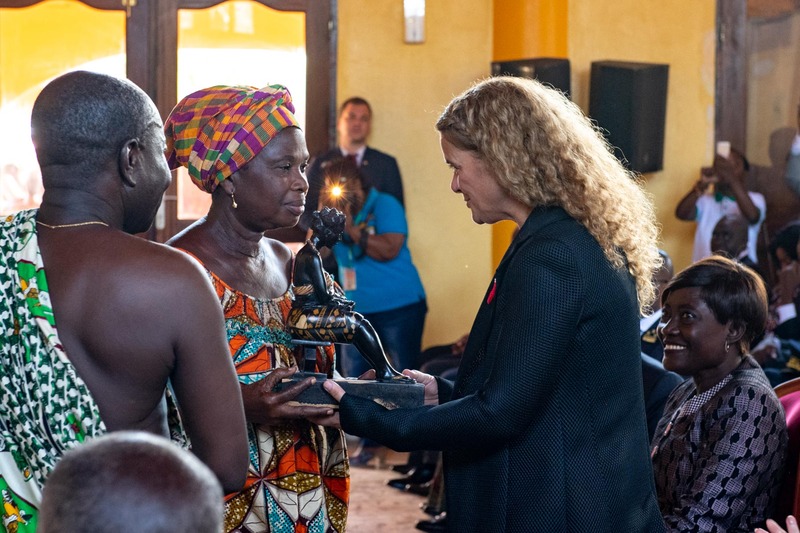 After receiving the citizenship scroll and the keys to the city, the Governor General had the opportunity to meet Ivorians. The energy and warmth of their welcome were infectious. 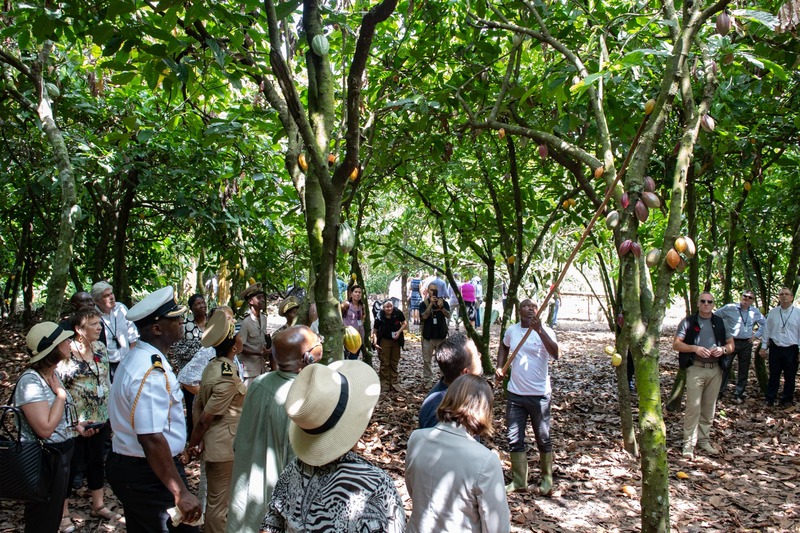 The Governor General and the Canadian delegation visited a cocoa plantation to learn more about the challenges of this industry. 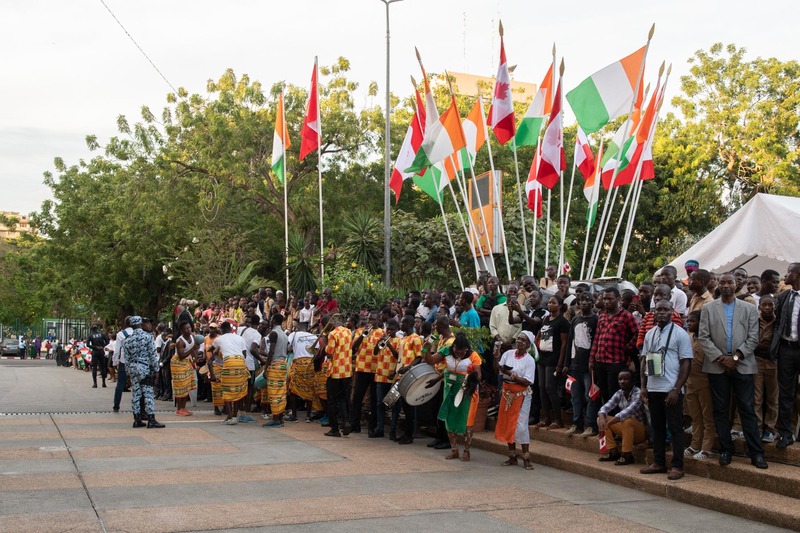 In Yamoussoukro, they met with women elected to the Senate and National Assembly, as well as with female Ivorian ministers, customary chiefs and local representatives. In the afternoon, the Governor General spoke with the students of the Institut national polytechnique Houphouët-Boigny. 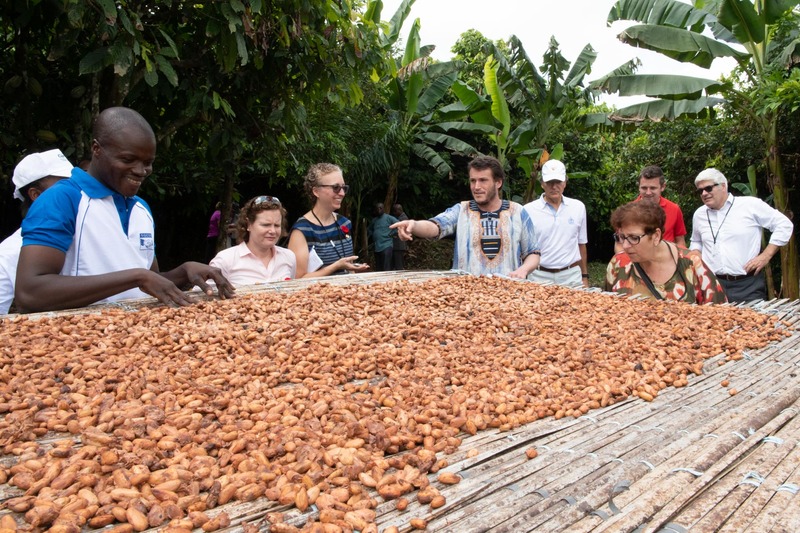 The Governor General and the Canadian delegation began their second day in Côte d’Ivoire with a visit to the Cargill project and the International Finance Corporation (IFC), a cocoa plantation, and learned about the challenges faced by this industry. Susceptible to temperature changes and therefore vulnerable to climate change, cocoa supports one fifth of the Ivorian population. 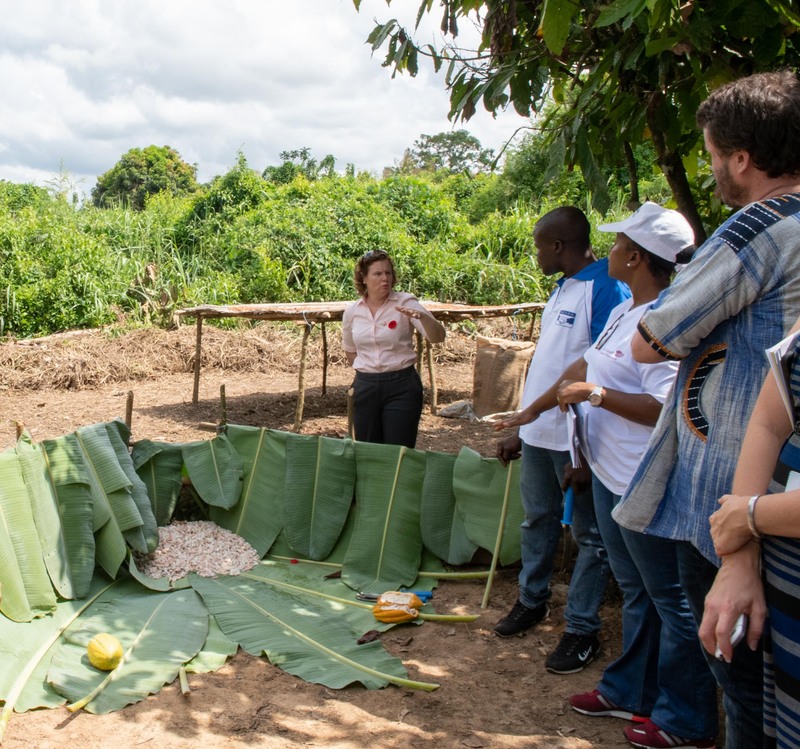 Her Excellency and members of the Canadian delegation were able to see the efforts taken by the Cargill project and the IFC stakeholders to respond to the threat of climate change and to reduce deforestation resulting from cocoa cultivation. 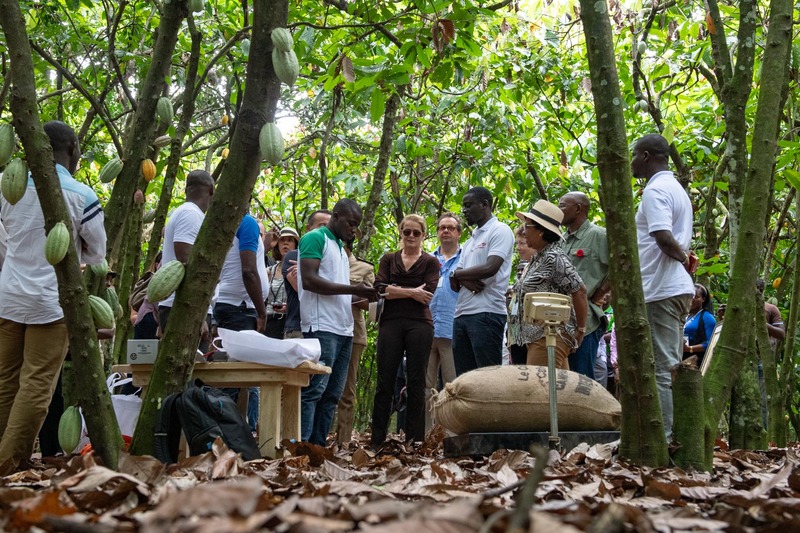 Supported by a financial contribution from Canada, IFC and Cargill, an agricultural multinational, are working to ensure the sustainability of cocoa cultivation and increase revenues and the resiliency of cocoa farmers. 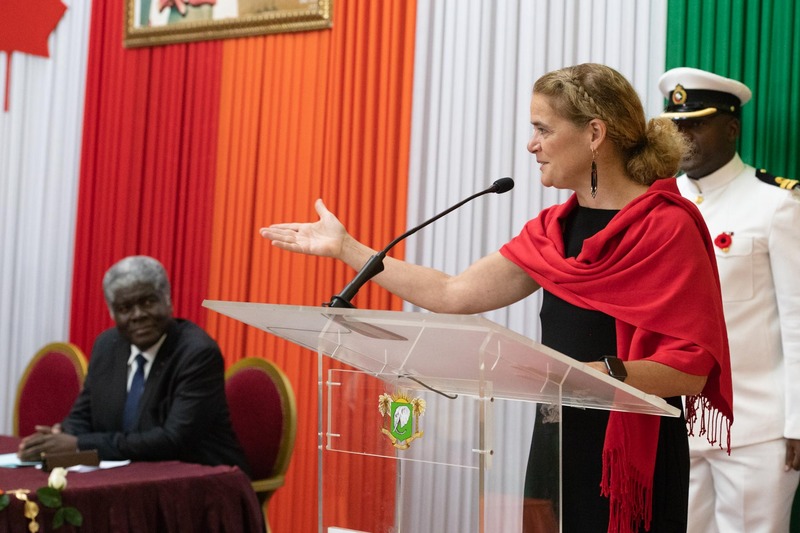 Pictured here, asking a question during the visit, is Canadian delegate Jennifer Goosen, Director General, West and Central Africa, Global Affairs Canada. 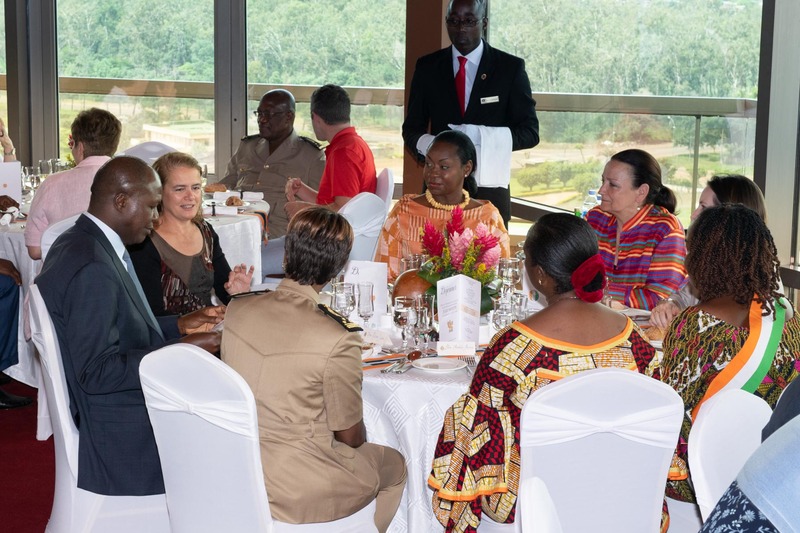 Her Excellency and the Canadian delegation then participated in a working luncheon with women elected to political office in Côte d’Ivoire and customary chiefs. The conversations focused on the backgrounds of and challenges faced by elected women in the political, economic and social fields. The working lunch was followed by a visit to Institut national polytechnique Houphouët-Boigny (INPHB), a regional leader in training engineers in West Africa. 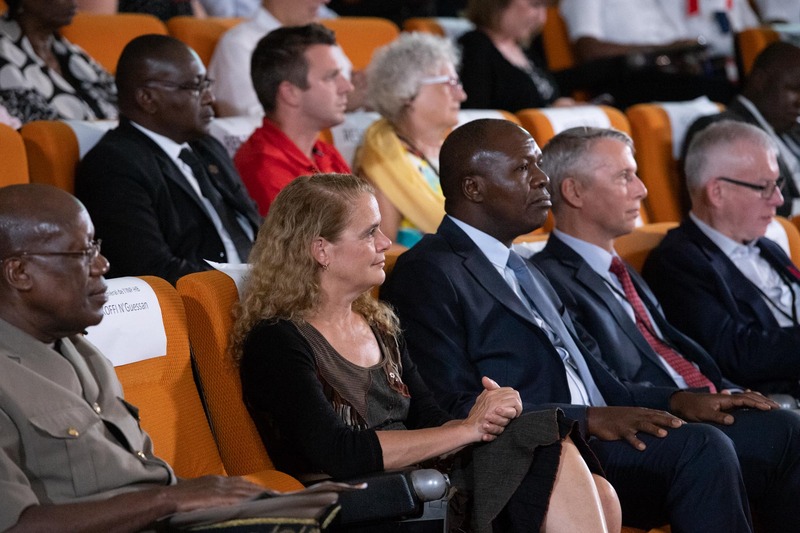 The Governor General spoke with the students of the INPHB about her experience, training as an engineer, science background and the importance of pursuing their dreams. Following her presentation, the Governor General took questions from students. 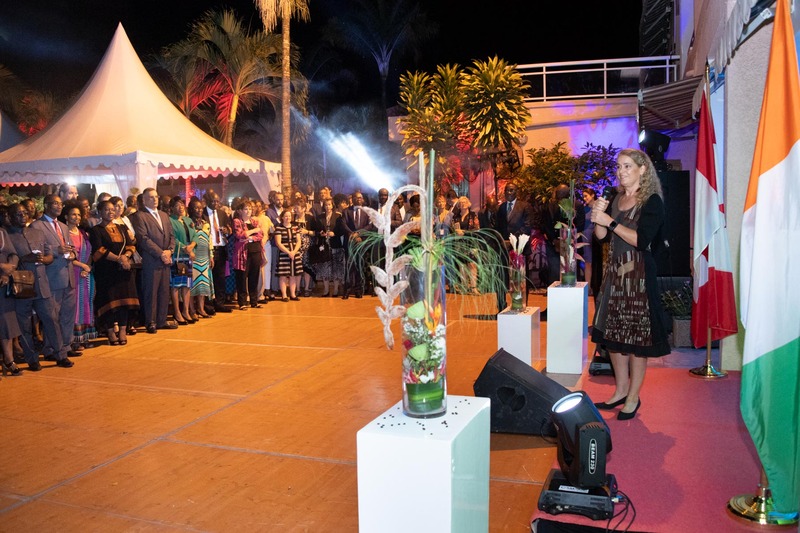 In the evening, the Governor General and the Canadian delegation attended a Friends of Canada reception during which Her Excellency provided brief remarks. 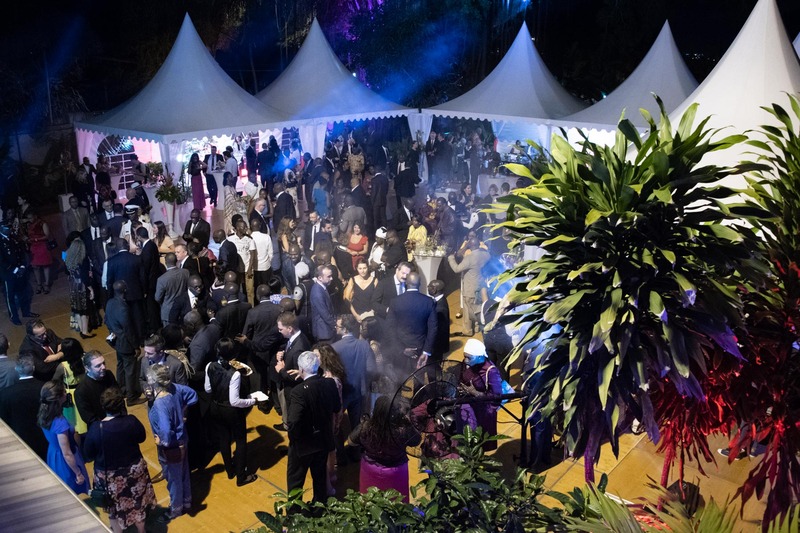 Canadian delegates, Daniel Taylor, conductor and countertenor, and Ellen McAteer, soprano, performed during the reception. 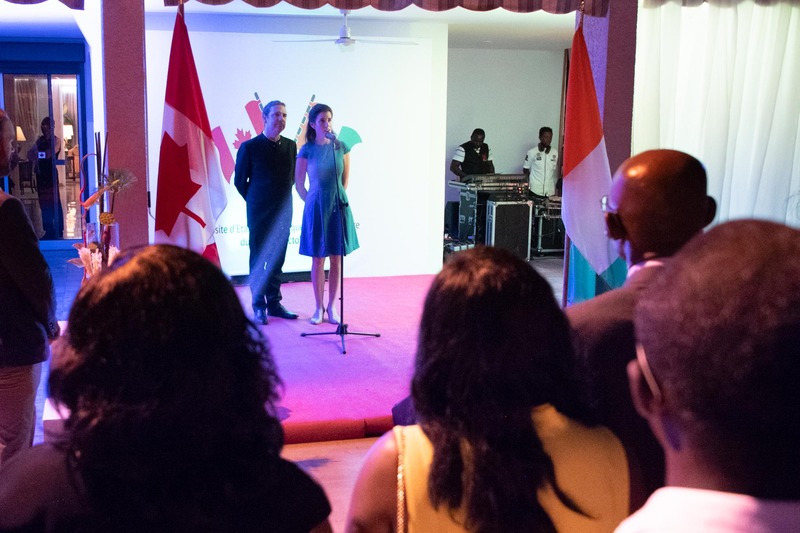 On this occasion, Her Excellency met individuals who have made continued and exceptional efforts in promoting and enhancing the Canada-Côte d’Ivoire relationship. 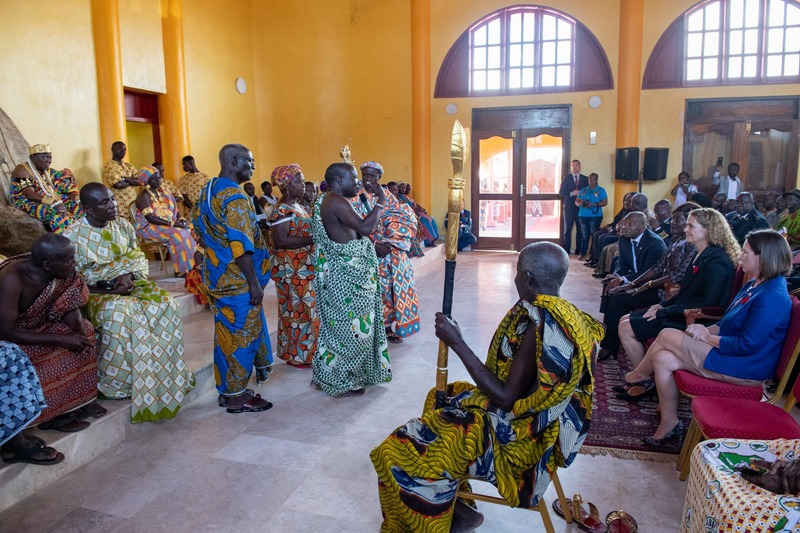 The Governor General met with His Majesty Tanoé Amon Désiré, King of the N’Zima-Kotoko, and Guetia 2, the Queen Mother, during a traditional greeting at the N’Zima Royal Palace. 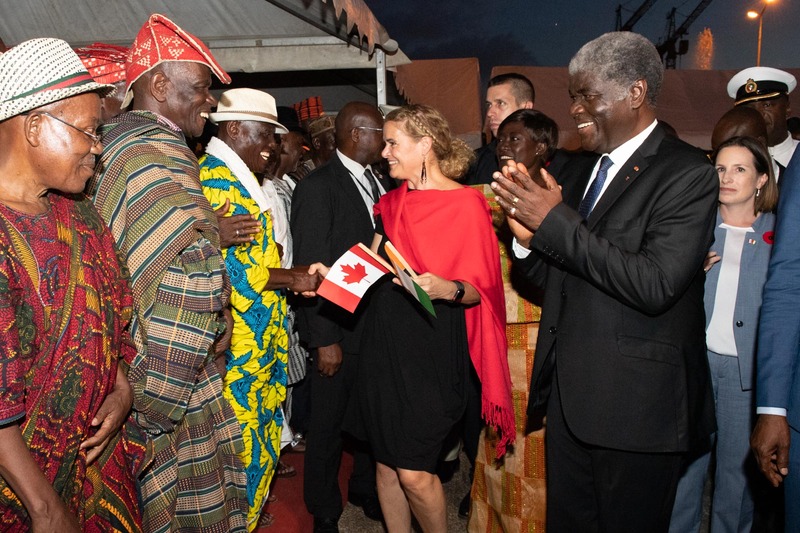 On the third day of the State Visit to Côte d’Ivoire, the Governor General and the Canadian delegation visited N’Zima Royal Palace. 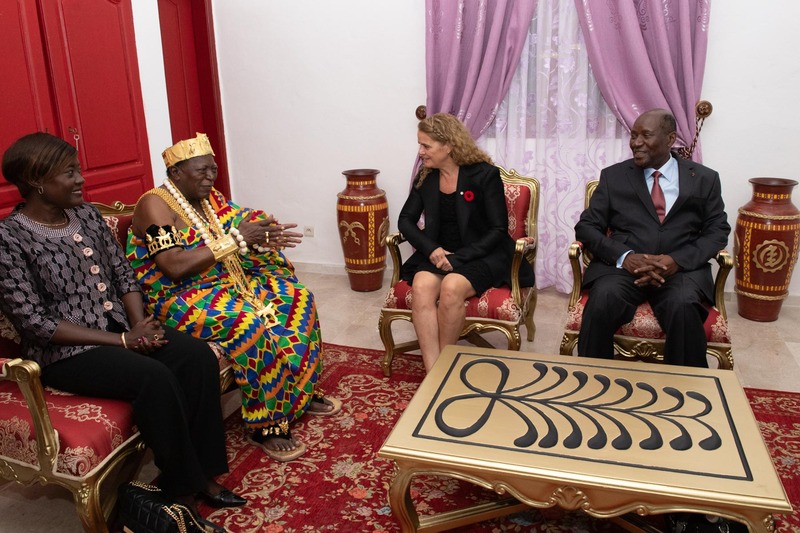 Here, the Governor General met with His Majesty Tanoé Amon Désiré, King of the N’Zima-Kotoko, and Guetia 2, the Queen Mother, and participated in a traditional greeting. The N’Zima Royal Palace is situated in the French Quarter of Grand-Bassam. 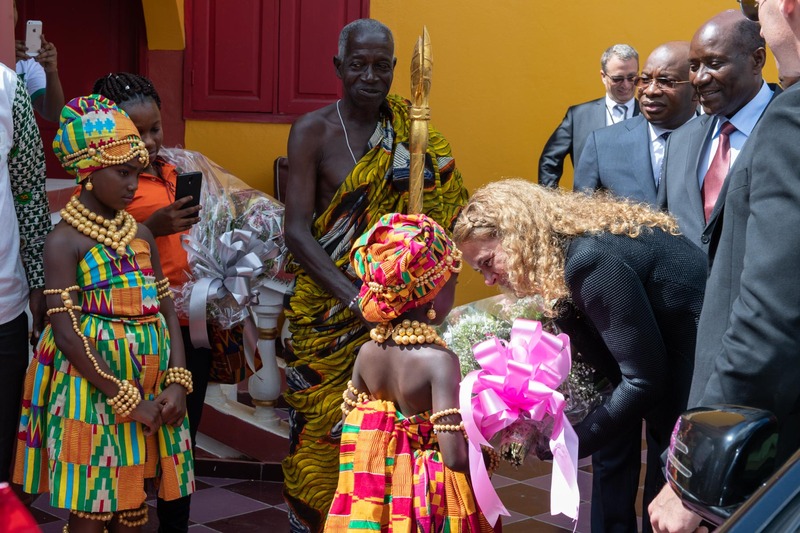 During her visit to the Palace, the Governor General also participated in a traditional naming ceremony. 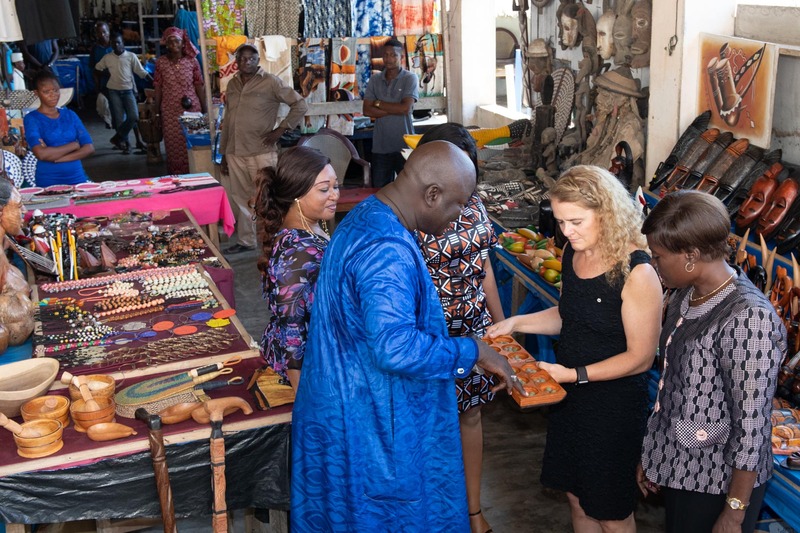 The Governor General and the Canadian delegation then visited part of the French Quarter of Grand-Bassam, designated a World Heritage site by UNESCO in 2012. 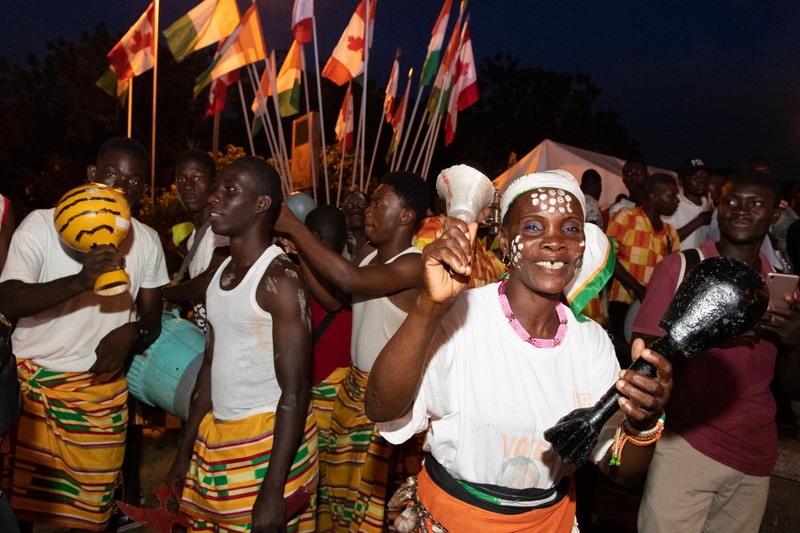 The first capital of Côte d’Ivoire, Grand-Bassam is an example of a late 19th- and early 20th-century colonial town planned with quarters specializing in commerce, administration, housing for Europeans and housing for the Indigenous population. 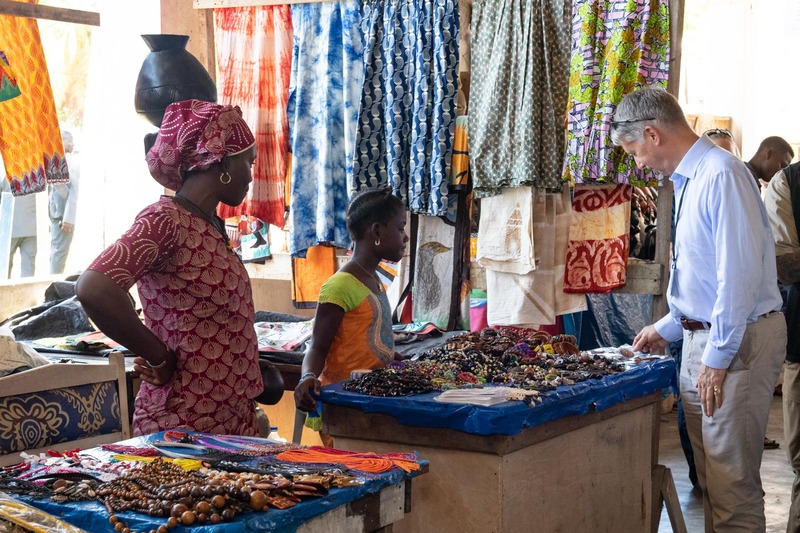 Delegate member, Lieutenant General (retired) The Honourable Andrew Leslie Parliamentary Secretary to the Minister of Foreign Affairs, experienced some of the commerce offered today in Grand-Bassam. 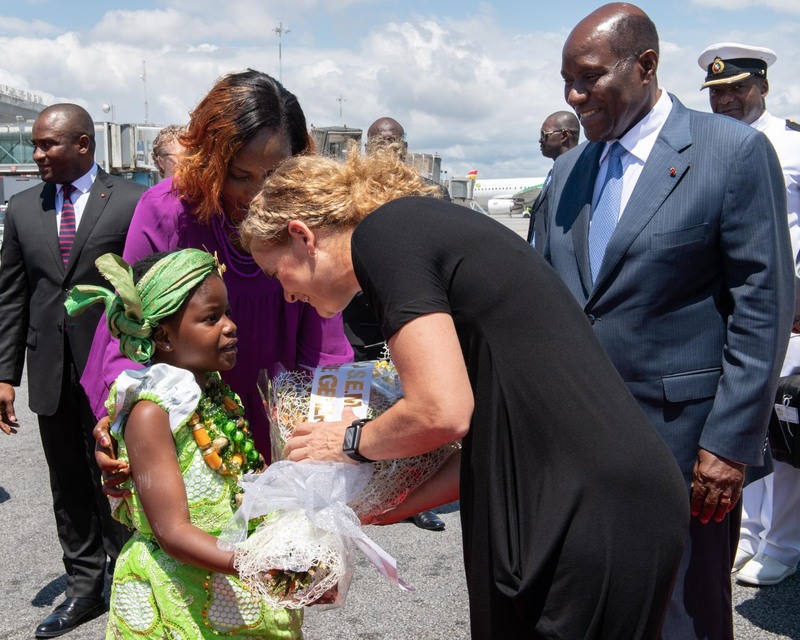 After three days of fruitful exchange in Côte d’Ivoire, the Governor General ended her State Visit to the Western African coastal country. Next, Her Excellency and the Canadian delegation embark on a State Visit to Nigeria.